Christmas is almost upon us, our social calendars are filling up and many a night out is being organised. 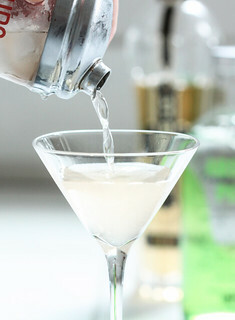 However, just as much fun can be had in your own home; how about making your own cocktails? You could organise a cocktail evening with friends, with everyone bringing a different spirit along – much cheaper than a night out drinking cocktails! Or you could just make Christmas dinner that little bit extra special and serve a fancy cocktail for the family, and mocktails for the kids of course so everyone feels included! Here’s some inspiration to get you started, or you could of course invent your own! Simplicity itself – just combine 3 parts champagne to 1 part orange juice. This is a well known classic associated with Christmas. Simply make from approximately 2 parts Advocaat to 3 parts lemonade with a squeeze of lime and mix. Add a couple of cocktail cherries for a final touch. Yummy! Instead of the same old post Christmas dinner coffee, how about mixing 2 oz Baileys, ½ oz vodka and a shot of espresso coffee for a lovely coffee flavored cocktail. Serve in Martini glasses and for an added touch of sophistication, place a couple of coffee beans on top. For a fruity cocktail, blend 4 strawberries, 2 tsp sugar, 1 ½ oz white rum, 1 tbsp strawberry liqueur and 1 oz lime juice. Serve in a Martini glass and add a fresh strawberry to garnish. This one’s always a popular choice. Crush 6 fresh mint leaves with 2 tsp of sugar and 3 parts lime juice. Add 4 parts white rum and top up with soda water. Garnish with more fresh mint leaves. This is a great cocktail to make if you have a variety of spirits in the house. Mix 1 part vodka, 1 part tequila, 1 part rum, 1 part triple sec, 1 part gin, 1 ½ parts sweet and sour mix and a splash of cola. For a lovely creamy cocktail with a tropical twist, simply blend crushed ice, one part white rum, one part coconut milk and three parts pineapple juice. Tis the season to be merry but remember to drink responsibly. Happy Christmas!